David is Honorary visiting Professor at the University of Leeds and works in the heritage sector in Lincolnshire and the East Midlands. 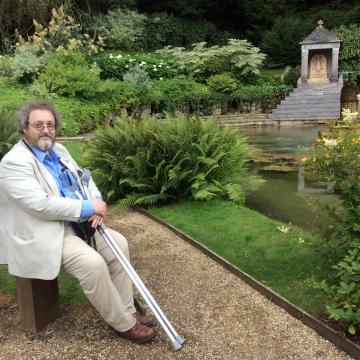 He has worked as an archaeologist and architectural historian in the heritage sector since 1978 and has held posts with many heritage charities, English Heritage (1986-2012) and the Heritage Lottery Fund, where he sat on the East Midlands Committee. David’s interests lie principally within medieval archaeology (buildings, churches, settlement and landscape), about which he has written many articles and books. He lives in a former Lincolnshire farmhouse, where he is active in local heritage groups whilst learning to play the recorder. He is currently a trustee of the Society for Lincolnshire History and Archaeology, trustee and President of the Lincoln Record Society, and Council for British Archaeology (CBA) nominee to the Council of the National Trust.